Now that Halloween is over, and Thanksgiving gets its usual brush off in hopes that St. Nicholas will soon appear, tis the season to see theater in New York City. Many of you make trips to New York City to shop and sometimes see shows. Well, I recently went to a press event for an upcoming holiday show that will be nothing like you expect. 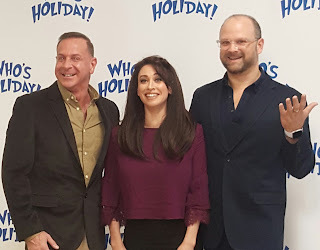 It's called "Who's Holiday", written by Matthew Lombardo, directed by Carl Andresss, and starring the insanely fabulous and fierce, Olivier Award winning comic actress, singer, dancer, Lesli Margherita. I had the great fortune to sit with them and talk about this insanely funny take on the popular children's character, Cyndi Lou Who. After LOTS of litigation, Mr. Lombardo can now present this show which takes Cyndi 40 years into the future, and YES, she is having a bit of a time with life. 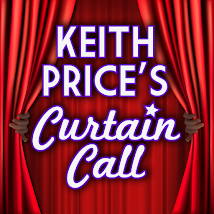 Check out my conversations with the creatives and Queen Lesli by clicking on the picture of them. From L to R, Frank Lombardo, Lesli Margherita, and Carl Andres. Now, if you want to make a little bit of a social impact and get some theater at the same time, the adorable and super talented, actor, director, singer, dancer, videographer, editor, and producer, Andrew Keenan-Bolger is starring in a modern and new holiday show, Kris Kringle The Musical. Along with Kim Crosby, Cathy Rigby, Pamela Myers, and a wonderful assortment of Broadway talent, this cast is performing this show for the charity, The Singing Angels November 24, 2017, at The Town Hall for 2 SHOWS ONLY, 3pm and8pm. The Singing Angels Mission is "To encourage, foster and cultivate positive youth development by engaging youth from all communities in quality music and performing arts education that teaches discipline, builds confidence, and provides a foundation for life — Making Music, Making Friends, Making a Difference." If you cannot attend the event, then think about making a small contribution to the organization, and do your part to SAVE THE ARTS. 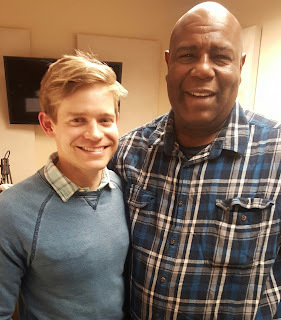 Click the pic to hear my conversation with the amazing Andrew Keenan Bolger.